Earlier this year, we passed the 40th anniversary of Bruce Springsteen’s “Born to Run”. Even those who don’t have much Heartland rock on their Spotify have to admit it’s one of the great rock records ever. For my money, it’s one of the greatest albums of all-time, full stop. But I’m not here to talk about Born to Run, as much as I want to. I’m here because it seems like Springsteen is having a moment in 2015. From younger musical acts borrowing his sound to TV shows lacing their soundtrack with his music, The Boss has been everywhere recently. Now, Springsteen is an American cultural touchstone, so his influence is going to shape music for a very long time. It’s possible he is always in the spotlight to this degree and I’m only realizing it now because I’ve been listening to so much of his catalog lately. That’s entirely possible. However, I can’t shake that everywhere I look, Springsteen’s shadow is cast. Back in March of 2014, The War on Drugs released Lost in a Dream, their meditative, alluring masterpiece. More than a few publications immediately detected obvious strands of Springsteen in the album’s DNA. That steady drum beat, those cathartic highs, the sudden urge to jump on a highway and drive through the middle of Nebraska with it on repeat. All of it’s there. Fortunately, The War on Drugs have enough ideas of their own to avoid direct mimicry, but they clearly owe a debt to The Boss. Lost in a Dream set the stage for a 2015 chock-full of Springsteen references. 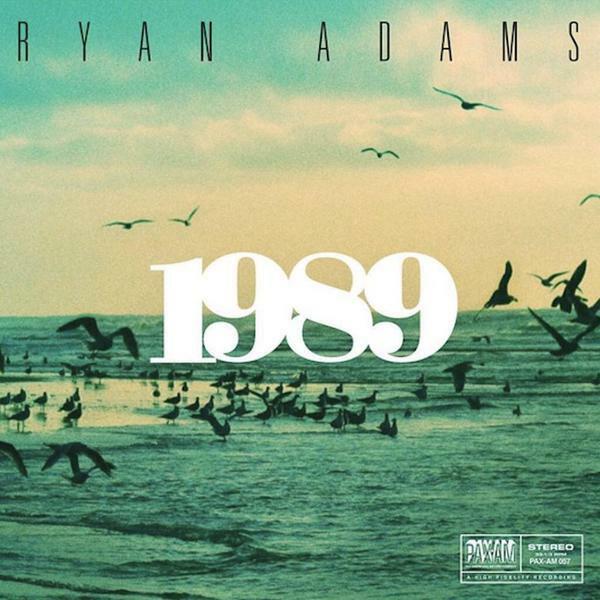 When it was announced that Ryan Adams would be covering Taylor Swift’s immensely popular 1989, I couldn’t wait to see how he would handle straight pop smashes like “Shake It Off” and “Blank Space”. When his covers album dropped, it all made total sense when he went the Springsteen route, the original being an 80s-inflected album and all. In an interview with Rolling Stone, Adams said he thought to himself, “Let me record 1989 like it was Bruce Springsteen’s Nebraska“. This is exactly why so many were excited to hear his take on the pop star’s work. If you’ve never heard Nebraska, it’s unlike any other vintage Springsteen album, in that Born to Run makes you want to jump on the nearest table and sing your lungs out, while Nebraska makes you want to curl up on the sofa for a sad nap. It’s mainly an acoustic journey through various down-on-their-luck characters. The E Street Band’s usual contributions — those bouncy piano chords, those muscular drums, that blaring saxophone — are all stripped away. Adams treated “Blank Space” and “Shake It Off” similarly, taking out the pop sheen and cutting the tempo in half. I don’t think he necessarily improved on either track, but he gave them his own Springsteenian spin. For “Shake It Off”, he seemed to borrow a sound from “I’m On Fire”, the fourth single off Springsteen’s 1984 Born in the U.S.A., one of the highest selling records ever. The smoldering track moves at an even pace, but you’re convinced he’s about to break into a frenzied crescendo, a chorus with which you can shout along. It never comes, making the song even more memorable. In the same way, Adams slows down Swift’s glossy, defiant tune until it’s just burning embers on a fire about to go out. Utilizing this style, it doesn’t even sound that ridiculous when Adams sings “players gonna play / haters gonna hate”. Around the same time Adams released 1989, Destroyer, a Canadian indie group, put out Poison Season, their tenth album. An unlikely candidate to use Springsteen as inspiration, the second track on the album, “Dream Lover”, sounds like (minus the lyrics) it could’ve been pulled directly from any ’70 or ’80s Springsteen and the E Street Band record. It has that hard-charging anthemic quality to it, with that heavy sax and loud drums. However, lead singer’s Dan Bejar’s voice is such the opposite of Bruce’s Man’s Man tenor that it’s a little disorienting. 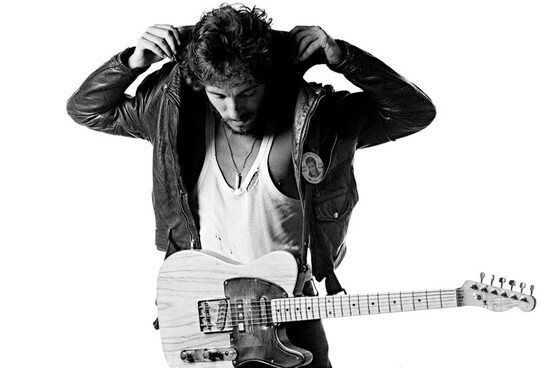 Other tracks on the record, like the excellent “Times Square”, have a vague whiff of The Boss as well. Hell, there’s even a song titled “The River“. Another instance of an artist using Springsteen’s influence to create their own original work. This has even spread to TV this year. When Jon Stewart, host of “The Daily Show” since 1999, waved his goodbye in the fantastic final episode, guess who was there to play him off. Now, Stewart grew up in New Jersey, Springsteen’s home state, so it was no shock that Stewart brought him in to blast “Born to Run” for his farewell. Still, seeing Springsteen up there for one of the more significant TV moments in recent memory made perfect sense for a year in which I had encountered him everywhere. Finally, I’ll end with a miniseries that used him so overtly, and with such frequency, that it almost tipped over into obsessive fandom. “The Wire” creator David Simon’s HBO miniseries “Show Me a Hero” basically kept Bruce on in the background throughout all six hours. This being a show set in late-80s Yonkers, New York, it’s not difficult to envision our main character, mayor Nick Wasicsko, as a Springsteen superfan. “Gave It a Name“‘s ruminative guitar opens the first episode, “Tenth Avenue Freeze Out” plays over Wasicsko fixing up his house, and Simon even throws in “Secret Garden” during a tender moment, despite its prominent use in that little-seen 1996 picture, Jerry Maguire. 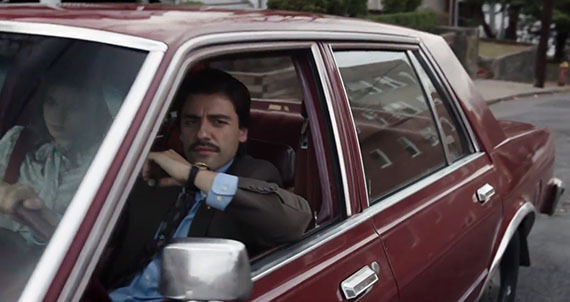 “Show Me a Hero” is a gritty and true-to-life series, sometimes depressing, other times cathartic. Kind of like Springsteen’s music, which makes him the perfect soundtrack for such a show. There’s plenty of unfortunate aspects about living in the Music Streaming Age (especially for current artists), but one of the positives is that we can go back through older artists’ discographies at will. If I get really into Fleetwood Mac, I don’t have to go digging around for an old copy of Rumours. I can just cue it up on Spotify. This means we can get familiar with music from the past in a way we were never previously capable of, which helps us understand today’s music on a deeper level. Like I said, I’m not sure if Springsteen is having a moment in 2015 or if I’m just recognizing more the effect his wake is having on current artists’ boats. Either way, forty years on from the moment he burst into the mainstream, a 66-year-old from Jersey continues to find strands of his work in all kinds of culture.